Today, the 8th day of lunar April, is the birthday of the Buddha (Siddhartha Gautama). According to the legend, on the night when Siddhartha was conceive, his mother Queen Maya has a dream. In her dream there was a white elephant with 6 tusks holding a lotus flower went circling around her 3 times and then entered her right side. The next morning Queen Maya told King Suddhodana the story and the King summoned the wise men to decipher the dream. It was predicted that the child would become a great king or a Buddha (the enlighten one). 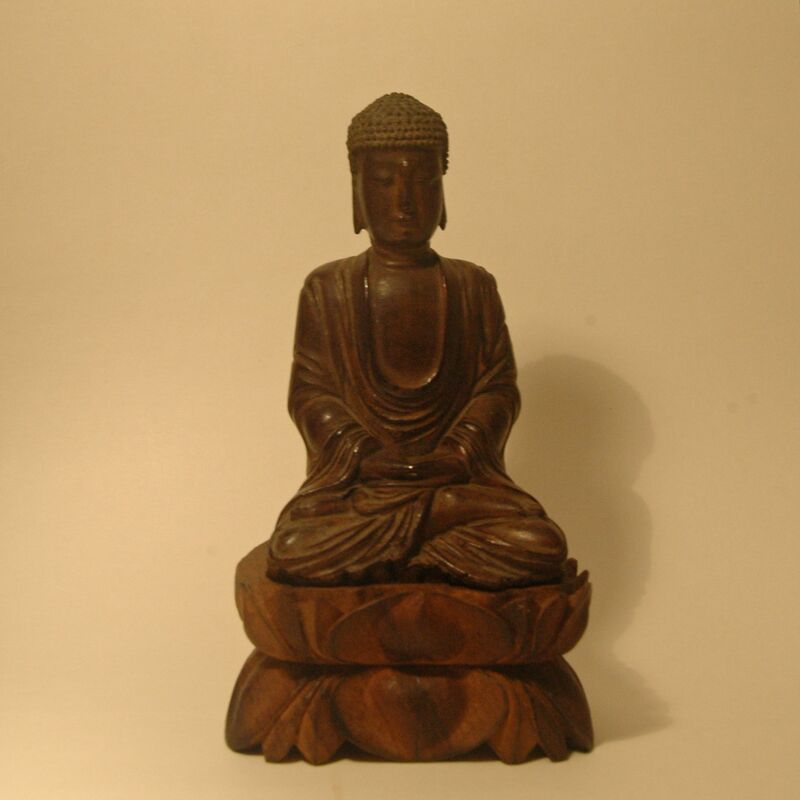 This is a wooden figurine of the Buddha, the third eye (spiritual awakening) of the Buddha is represented by the inlay of a tiny pearl. If you happens to be in Hong Kong click here and join in the celebration. Where can we get some bitter green cookies? Did you have one today? the bitter green cookies are available during the Buddha’s birthday festival at all Buddhist vegetarian restaurants. The cookies are made with the leaves of plant Beluntas – Yi Luan (Pluchea indica (L.) Less), the leaves are smashed and mixed with rice flour and sugar.